In an article published in PLOS ONE, Brazilian scientists detail the genetic structure and molecular diversity of the varieties of cocoa grown in the state of Bahia for over 200 years, and identify trees resistant to witch's broom. The saga of cocoa (Theobroma cacao) in southern Bahia is part of Brazil's economic and cultural history. Brazil was once the world's second-largest cocoa producer and now ranks sixth. After more than 20 years of exile from the global market due to failed crops, cocoa growers were able to resume exports of the commodity in 2015. The culprit behind the decline of Bahian cocoa was the fungus Moniliophthora perniciosa, which causes witch's broom. This disease appeared in the Ilhéus-Itabuna area in 1989 and attacked the shoots, flowers and pods of cocoa trees. Branches of infected crops had ineffective leaves and bore no fruit. Brazil produced only 190,000 tons of cocoa in 1991, down from 320,000 tons per year before the disease hit. 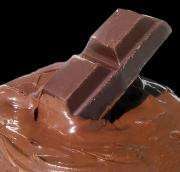 The plunge was entirely due to crop losses in Bahia, which had previously produced 80 percent of the nation's total cocoa output. In the past two decades, strenuous efforts have been made to combat witch's broom, mainly by developing new varieties of disease-resistant cocoa, given that the fungus still flourishes in southern Bahia. One of the most innovative initiatives is a study of the genetic structure and molecular diversity of the varieties of cocoa grown in Bahia for over 200 years. The principal investigator is Anete Pereira de Souza, a professor at the University of Campinas's Biology Institute (IB-UNICAMP) in São Paulo State and a researcher at the same university's Center for Molecular Biology & Genetic Engineering (CBMEG), in collaboration with researchers from several universities and research institutions in Bahia. "The low resistance of Bahia's cocoa trees to witch's broom has always intrigued me," Souza said. "The Brazilian Amazon is one of the oldest origins of the species Theobroma cacao. So many varieties and types of cocoa must exist there, and some of them must be resistant to M. perniciosa. Why did the disease practically wipe out southern Bahia's cocoa plantations in a few years if the plant originally came from the Amazon? We decided to study the genetic history of Bahian cocoa in order to discover why it's so vulnerable and find a way of making it more resistant to the fungus." The next generation was sown in Ilhéus in 1752. The plants adapted well to the local climate. Cocoa plantations spread throughout the region in the 19th century, and exports rose in step with demand for chocolate in Europe and the United States. By the early 20th century, cocoa was Bahia's main export. "The quality of Bahian cocoa is outstanding," Souza said. "So much so that Côte d'Ivoire, Ghana, Indonesia, Nigeria and Cameroon, the top five producers, all grow Bahian cocoa. The original seeds introduced were from Bahia's Forastero variety." Witch's broom is endemic to South America and the Caribbean. It has never crossed the oceans to infest plantations in Africa or Southeast Asia. The results of the huge epidemiological and scientific campaign waged against the disease in Brazil are starting to appear. After bottoming out at 170,000 tons in 2003, Brazil's cocoa output rebounded to a 26-year high of 291,000 tons in 2014. Improved control of witch's broom has enabled Bahia to resume exports. It shipped 6,600 tons of cocoa beans to Europe in 2015. To understand the genetic reasons for Bahian cocoa's extreme susceptibility to witch's broom, Souza went into the field with Elisa Santos, then her Ph.D. supervisee at the University of Southwest Bahia (UESB), and with researchers from the University of Santa Cruz (UESC) and the Cocoa Recovery Plan Steering Committee (CEPLAC), based in Ilhéus, Bahia. Santos collected 219 samples of cocoa leaves from seven farms and 51 samples of hybrids developed over decades at the Cocoa Research Center (CEPEC) in Ilhéus. The genetic base was found to be very narrow; literally all of Bahia's cocoa trees are the descendants of only a few individuals. More specifically, they all originated from a small number of Forastero seeds, including the handful picked by Warneau 270 years ago. The researchers also found that the seeds were well chosen for the quality of the fruit produced by the trees concerned. While low genetic diversity guarantees high-quality fruit, it also explains why the population of cocoa trees as a whole was so fragile, as it resulted in a lack of varieties capable of resisting diseases such as witch's broom. "The genetic base was already narrow, and they chose only plants from that base to obtain hybrids," Souza said. "It didn't occur to them to introduce new varieties from outside Bahia so as to enrich the genetic base in the region. As a result, the hybrids produced were even less disease resistant." The good news was the discovery of trees growing on local farms that were disease resistant and that displayed greater genetic diversity than the previously known hybrids. "The cocoa trees concerned were planted before the appearance of witch's broom and have never been attacked. That's why they were left intact and continued producing," Souza said. "There must be others besides the ones we took samples from. These trees can't be lost. Government and growers must preserve these varieties, as they represent the future success of the cocoa industry not just in Bahia, but also nationwide and indeed worldwide, given that Bahian cocoa has been exported to so many countries around the world." New hybrids involving the trees found to be disease resistant and to display broader genetic diversity are now being obtained by plant breeders at Bahia's research centers.